Delaware employees work hard every day. Whether they are behind a desk, on a job site, or somewhere in between, the people who drive the state’s workforce offer their time, talent, and energy to meet a wide variety of local needs. In return, they enjoy the satisfaction of a job well done and the wages they need to support themselves and their families. Unfortunately, many times employees are injured or die on the job. Workplace accidents, repetitive behaviors, unsafe conditions, and more can cause employees to suffer an injury that prevents them from doing their job. In these situations, what are Delaware workers to do? Without the income they need, they may not be able to obtain proper medical care, pay their bills, and continue to lead the life they had before the accident. The answer for many employees is workers’ compensation. Workers’ compensation is a benefits system that can provide wages and medical care to injured employees. If you or someone you love has suffered an injury within the course and scope of your job, you may be eligible to file a workers’ compensation claim. The experienced Delaware Workers' Compensation Lawyers at the Morris James Personal Injury Group have helped many other Delaware employees secure the benefits they deserved to protect their health and their livelihood. Call one of our convenient locations near you to learn more about your rights and how to pursue a claim. If you prefer, take a moment to fill out our online contact form for a prompt response from a member of our legal team. As noted earlier, workers’ compensation is a type of insurance that can protect both employees and employers in situations where an employee is injured or dies as a result of the job they perform. For employees, the system offers wage replacement up to a maximum set annually by the State and medical care from an Industrial Accident Board Certified doctor, while the employee is unable to work or unable to work at the same level as before the injury. These benefits are available to workers regardless of fault. Even if the employee is partially to blame for the accident, they can still receive benefits, except in some specific situations. For their part, employers are typically protected from costly and time-consuming litigation. Who Is Eligible for Workers’ Compensation Benefits in Delaware? Any employee who suffers an injury or death that is related to work can file for workers’ compensation. All employers with one or more employees are required by the state of Delaware to carry workers’ compensation insurance. The state imposes stiff penalties for any employer who fails to provide this coverage. Additionally, if an employee dies as a result of the workplace injury, surviving family members may be eligible to receive benefits. However, there are some employees who do not qualify to claim these benefits. Independent contractors, domestic workers, farm laborers, and those who earn less than $750 in a three-month period may not be eligible to receive compensation. In addition, though the system is designed to act as a no-fault system, there are circumstances in which the behavior of the employee may disqualify him. Employees who do exercise reasonable care in their behavior or are under the influence of drugs or alcohol at the time of the accident may not qualify. If you are unsure whether or not you are eligible for workers’ compensation benefits, the Delaware Workers' Compensation Lawyers at Morris James Personal Injury Group may be able to help. Our knowledgeable lawyers have experience with Delaware workers’ compensation claims and can help you decide how to proceed with your case. 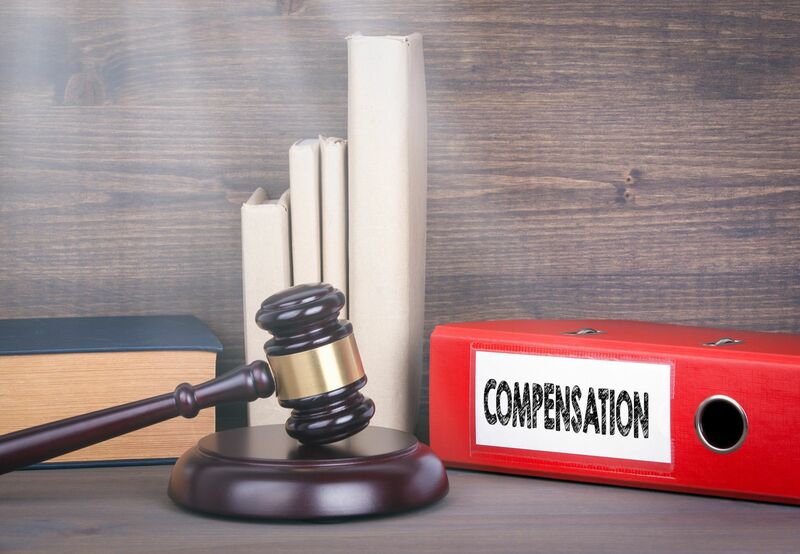 What Kinds of Compensation Are Available for Delaware Employees? Delaware workers’ compensation can provide assistance for a wide variety of situations. First, the benefits system can cover medical costs related to the work injury. The injured worker does have the right to choose his own physician, provided the doctor is certified by the Industrial Accident Board. The State offers a continually updated list of approved providers. The system also provides wage replacement when an employee is unable to work or unable to perform the same level of duties as before the accident. Employees are eligible to receive up to 2/3 of their average weekly wage up to the maximum set annually by the State. Wage replacement is available to those who suffer injuries that result in temporary partial disability or temporary total disability. Employees can also file for mileage reimbursement to help cover the cost of travel for treatments related to the injury. Each of the different types of benefits are subject to different standards and are payable for varying Delaware workers compensation statute of limitations. In some cases, commutation of benefits is appropriate. Commutation delivers the injured employee a lump sum of money. A commutation must be approved by the Industrial Accident Board. A skilled workers’ compensation attorney can help employees examine their own unique situation to determine if commutation is appropriate and beneficial. What Constitutes a Work-Related Injury or Illness? Employees are eligible for any type of work-related injury. Any injury related to the job that causes an employee to miss work may qualify, including an old or chronic injury that is aggravated by the job. Though the injury most often occurs at the place of employment, this need not be the case. Injuries sustained during travel for work, at a job site, or any time an employee is completing a task for work may be considered work-related injuries. The skilled Delaware workers' compensation lawyers with the Morris James Personal Injury Group can help determine if your injury is work-related. Take a moment to fill out our online contact form for a prompt response from a member of our team. We can discuss the details of your case to determine how best to move forward. What Should I Do If I Have Been Injured at Work in Delaware? If you or someone you love as suffered an injury or illness at work, it is important to act quickly to protect your rights. Employees should immediately report the injury to their supervisor and also seek medical treatment right away. Even if the employee regards the injury as minor, it is important to have it evaluated by a certified medical professional. In some cases, even minor injuries do develop into more serious problems. Prompt medical care ensures that the employee’s health is protected and provides important evidence for a workers’ compensation claim. Like in personal injury cases, the state sets limits on how long employees have to take action to receive compensation. In Delaware, employees must report the injury to their employer immediately and in writing. Many employers have specific forms available to complete after an injury or illness. If an employer does not act appropriately or cooperate with a claim, the employee will have to file with the state industrial accident board. Employees have two years from the date of the injury to file their case. In these cases, and others, injured workers should seek the advice of our skilled Delaware workers' compensation lawyers. Do I Need an Attorney for a Delaware Workers’ Compensation Claim? While a lawyer is not required for a workers’ compensation claim, it is most often recommended. Workers’ compensation proceedings are legally binding. These cases involve a good deal of paperwork, filing deadlines, hearing appearances, and even oral arguments. Experienced lawyers have an intimate knowledge of Delaware workers’ compensation law and can help injured workers prepare and offer the strongest case possible. Often, claims filed without an attorney are denied. Even then, employees do have the right to appeal the decision and offer a vigorous argument for the awarding of benefits. Additionally, there are instances in which employers or insurance companies act unfairly toward the employee. It is against the law for an employer to retaliate against an employee in any way for filing a workers’ compensation claim. A skilled attorney can help employees understand their rights and protect them from unfair treatment. Workers’ compensation lawyers are experienced in dealing with insurance companies, which seek only to protect their own interests and their own bottom line. A lawyer can help injured workers evaluate settlement offers and negotiate with the insurance company if necessary. The decision in a workers’ compensation case can have serious consequences for injured workers and their families. In most cases, the benefits are vital to both the continued medical care of the injured worker and the financial stability of the entire family. The Delaware Workers' Compensation Lawyers at the Morris James Personal Injury group understand the importance of these cases and work hard to secure the benefits you deserve so you and your family can focus on what’s really important – healing and moving forward from the injury. Call our office nearest you today or fill out our online contact form to speak with a member of our team and get started protecting your health and your rights as an employee in Delaware. After suffering a head injury at my work place which left me in ICU at University of Maryland Hospital, I quickly found that Workers Comp and my employers insurance company was not there for my best interest. Realizing this, I sought out legal advice and obtained a lawyer at another law firm. I quickly realized that this law firm was simply there just to collect a paycheck and I was just another number on their income sheet. Lets just say I fired them and obtained Clayton Bunting from this firm. That was the best decision. Clayton was more than a lawyer to me and my family. He was like another dad in my life. Constantly seeking the best course of action and giving strong legal, backed by case law, advise. My battle with my employer and workers comp went on for 2 1/2 years and with Clayton's guidance and by the grace of God, the nightmare is over. I can not thank this firm enough. EVERYONE in this firm is top notch. Clayton has the best paralegal in the business. "Behind every great lawyer you will find a greater paralegal" so thank you Dee Jensen!!! If you are on the fence of obtaining legal counsel take my advice from someone that has lived through the nightmare of WC and employers insurance company, obtain legal advice and hire this firm to stand up to these insurance companies. It will be the best decision you can make.